Eloy, Arizona to/from Phoenix Sky Harbor International Airport (PHX). Great Flat Rates! More often than not, our town car flat rate fares to and from Eloy and the Phoenix Airport (PHX) are less than taxis charge for the same service. So, why travel in a taxi when you can travel to the airport in style and comfort in any one of our luxury vehicles. >> VIEW OUR RATES. A Luxurious Vehicle Fleet. Whether you are a single executive, traveling couple or a large group, Roadrunner has the right vehicle for you. Depending on the amount of passengers, Roadrunner Limousine’s fleet includes town cars, limousines, SUV’s, passenger vans and even 30+ passenger coaches. All our vehicles are clean, comfortable, private late model luxury vehicles equipped with GPS Navigation systems. So, why take a bumpy taxi from Eloy to PHX when a luxury vehicle is available at Roadrunner Limousine? 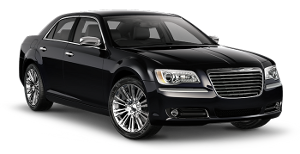 Roadrunner Limousine, serving Eloy and Phoenix, Arizona, provides exceptional service for its executive clients. Our executive guests expect reliable, convenient and comfortable transportation to or from Eloy and the Phoenix Sky Harbor International Airport. As important as it is to provide our executive passenger with optimum service, working effectively with their executive assistants and travel coordinators makes everyone’s job easier. For them, we have a state-of-the-art online booking and account monitoring system accompanied by a highly trained staff to help develop and execute the most sophisticated travel plans that any busy executive or corporate group might need. First Time Coming to Eloy, Arizona – Did You Know? The City of Eloy, Arizona is celebrating its 61st anniversary of incorporation in 2010. The city offers a varied range of community facilities for its citizens. The city limits currently encompasses over 110 square miles with a planning area of almost 545 square miles. The City of Eloy, Arizona Eloy is located below the I-8, I-10 split in Pinal County and is only 50 minutes south of the Phoenix-Mesa-Scottsdale metro area. The community was named by the Southern Pacific Railroad, which built a switch here in the early 1900’s. The name Eloy is derived from the European name meaning the “Chosen” or the “Chosen One”. The City of Eloy was founded in 1902 and incorporated in 1949 it celebrated its 60th anniversary in 2009. The City offers a varied range of community facilities including a library, an airport, three recreation centers, seven parks, two swimming pools, one being a new Aquatic Center, four tennis courts, two volleyball courts and over 700 acres of industrial park space. Within the city of Eloy and in the general area there is a variety of accommodations and facilities including 400 motel rooms, 17 restaurants, 5 meeting facilities, all major utility services. This area is about to explode with growth. Over 175,000 homes are scheduled to be built in Master Planned Communities over the next decade, along with many new businesses, industries, retail facilities and offices.